The boy pharaoh continues to captivate the world and this new undertaking of revamping KV62 will ensure the intrigue lives on. 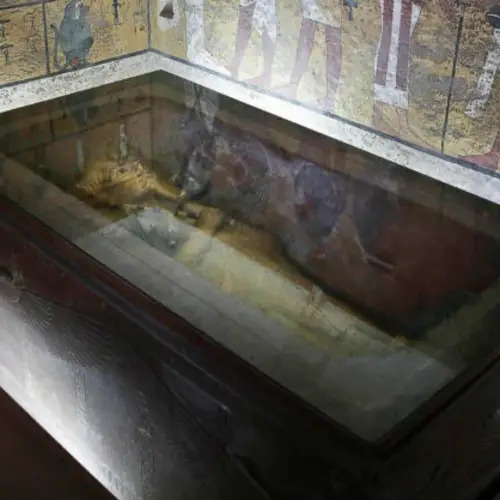 It has taken nearly a decade — as long as the boy king's reign itself — but conservators have finally finished an in-depth restoration of King Tutankhamun's tomb. 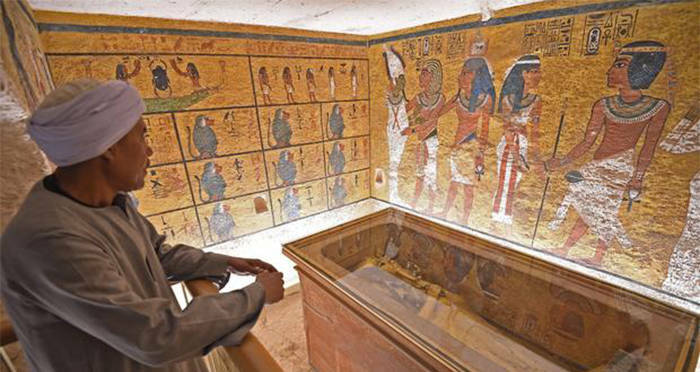 The lavish tomb of the boy king has captivated the public for its near-intact discovery and wealth of treasures since archaeologist Howard Carter stumbled upon it in 1922. But years of tourists drudging through the tomb have left the World Heritage site with a thick layer of grime. The Getty Conservation Institute and the Egyptian Ministry of Antiquities took on the lengthy revamp, which was decidedly more than a light spring cleaning. For the past decade, a dedicated and highly trained crew have meticulously cleaned and dusted the paintings and surfaces in King Tut's tomb. They adjusted the microclimate inside the tomb by installing an air filtration system to control humidity, carbon dioxide, and dust. 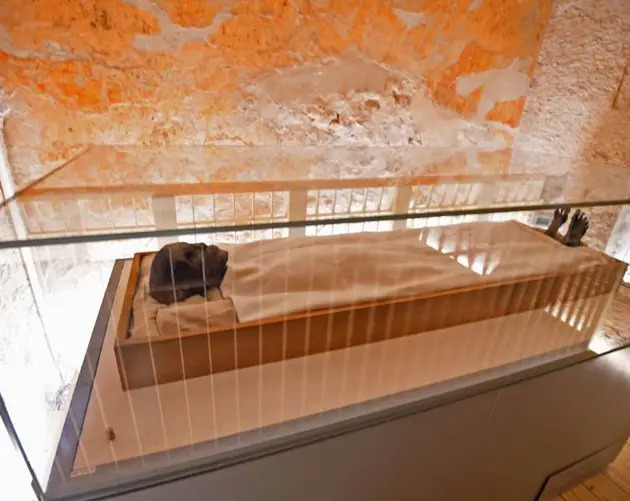 They improved the lighting, installed a new platform from which to view the sarcophagus, and included better signage to make the tomb more accessible than ever before. 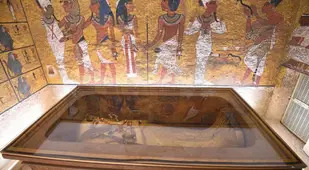 One of the main reasons for the restoration, however, was to address the appearance of ominous brown spots on the paintings inside King Tut's tomb. Conservators wondered whether increased levels of humidity and carbon dioxide from visitor's breath had stimulated unwanted microbial growth. Luckily, mankind's presence inside King Tut's tomb was not the cause of the brown spots, in fact, they had long since been there. An analysis of the paintings concluded that the discoloration was already present at the time of the crypt's original discovery. Furthermore, the spots proved to be an expired fungus that no longer poses a threat to the paint. The damage, unfortunately, is irreversible. But aside from that news, the intense restoration which in part took place even as the tomb was open to the public was a success. 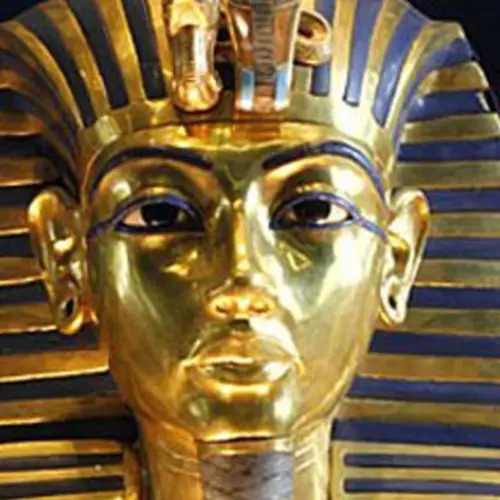 Visitors can now see the Pharaoh Tutankhamun's golden sarcophagus more safely, with greater ease, and in all its shining glory. The restoration of King Tut's tomb apparently cost so much money that the Getty Conservation Institute has declined to tell anyone the astronomical figure. So what was so important about this young pharaoh that an institution was willing to shell out that kind of cash to keep it together? 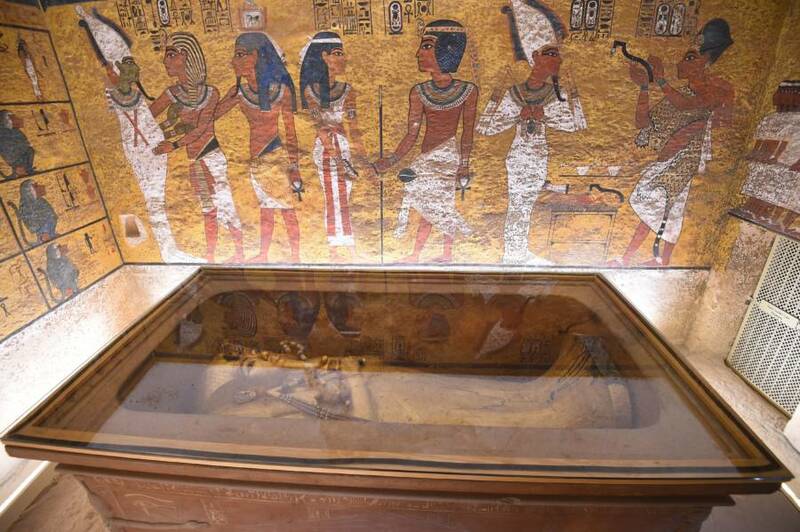 Rich and bored Europeans began to poke around ancient Egyptian burial grounds in the 1900s in search of treasure. One such aristocrat was the 5th Earl Lord Carnarvon who lived in England's Highclere Castle (the one from Downton Abbey, for those in the know). Carnarvon hired a personal archaeologist named Howard Carter to oversee the excavations he personally financed. Carter made some small discoveries at first, including a few previously unknown royal tombs. However, ancient thieves had already made off with most of the loot. After about 15 years, Carnarvon began to run out of patience and wanted to pull the plug on the excavation project. However, Carter felt they were on the brink of something big. Sure enough, Carter and his team stumbled across a previously neglected piece of land in the Valley of the Kings. Within a month, they'd uncovered what 3,000 years of rubble had concealed — the stairway down to a mysterious tomb: King Tut's tomb. Carter reached the entrance to KV62, the Egyptian designation of the young pharaoh's tomb, on November 4, 1922, and made a breach in the door just large enough to hold a candle up and peer inside. "As my eyes became accustomed to the light, details of the room within emerged slowly from the mist, strange animals, statues, gold—everywhere the glint of gold." Headlines touted the discovery of King Tut's tomb far and wide, but the work on KV62 had only just begun. Carter spent the next 10 years cataloging the 5,398 individual trinkets that the young king's subjects placed in the tomb to accompany him into the afterlife. Sadly, Lord Carnarvon did not live to enjoy much of the hubbub. Just five months after their landmark discovery, he died a strange death from an infected mosquito bite. Sir Arthur Conan Doyle suggested that the aristocrat's demise was caused by ancient elementals; occult spells guarding the royal tomb. Hence the ominous story of the "Mummy's Curse" was born. In 2016, the Grand Egyptian Museum put almost all the contents of KV62 on display. These included a shield adorned in cheetah skin, jars of beer and wine, and many of his garments. Also tools, his sandals, and the bodies of his two stillborn daughters. Tutankhamun Nebkheperure was roughly 8-years-old when he took the Egyptian throne. Young Tut was the son of the Pharaoh Akhenaten and the step-son of Queen Nefertiti; a power couple that instigated somewhat of a religious revolution. They ushered in the age of worshipping one god — Aten, or the sun. Furthermore, the pair caused quite a stir when they closed all the old temples and moved Egypt's capital away from the Nile. Akhenaten forced his subjects to build a new capital city from scratch; a move that didn't gain him much popularity. However, it was Akhenaten's failures that gave rise to Tutankhamun's successes. Lucky for young King Tut, he had numerous political advisers. Upon his inheritance of the throne, his conglomerate ushered him to return the capital back to its original location — Thebes. Gone was the worship of Aten; subjects could now resume publicly worshipping Atun — the creator god. King Tut became somewhat of a symbol of restoration; righting the wrongs of his father. Unluckily for the boy king, however, were his sour genes. Recent DNA evidence has shown how years of incestuous breeding in the king's family made for an altogether frail child. It's believed now that King Tut's early death was brought about by a myriad of disabilities, including a bone disorder and malaria. Regardless of his frailty, Tut went on to marry his half-sister, Ankhesenamun, in an arranged marriage. They had two daughters who were both stillborn. Then, unexpectedly in his late teens around 1324 B.C., Tutankhamun died. Exactly how is still a mystery, though scientists have largely ruled out any foul play. After all, King Tut was physically frail; he had a clubbed left foot in addition to his multiple bouts of malaria. That he may have contracted gangrene as the result of an infection is also a forerunning theory as a cause of death. 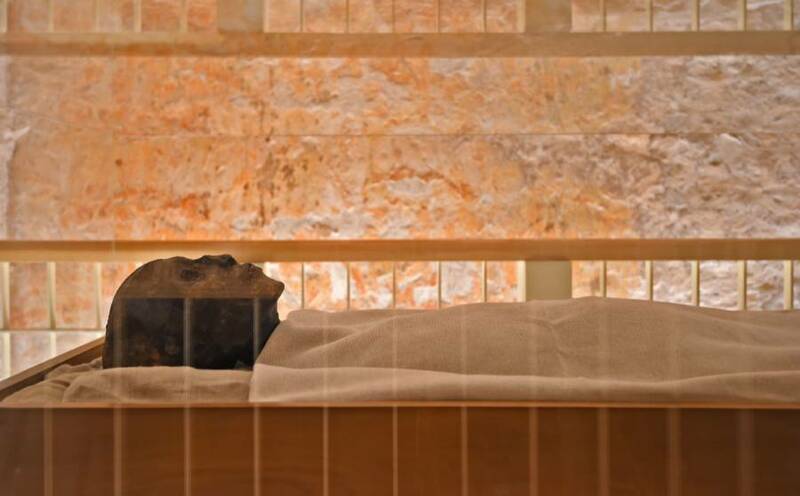 At any rate, the Egyptians mummified Tut and prepared a lavish tomb in which to place his body. 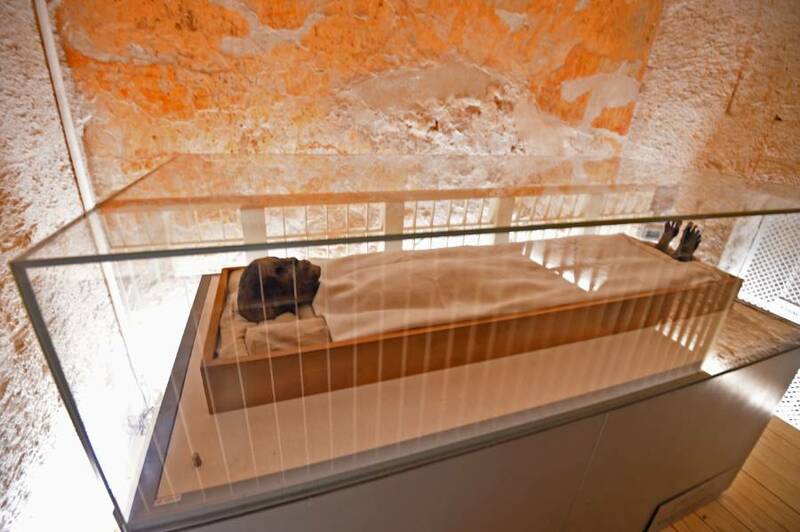 Because King Tut's death was so unexpected, many modern experts believe that Tut's subjects put him in the first tomb available — one that was likely prepared for someone else. It's a possibility that King Tut's tomb is an offshoot at the entrance to another Egyptian VIP. It is a question that would get some answers, but not until more than 3,000 years later. Why Are We So Obsessed With King Tut? 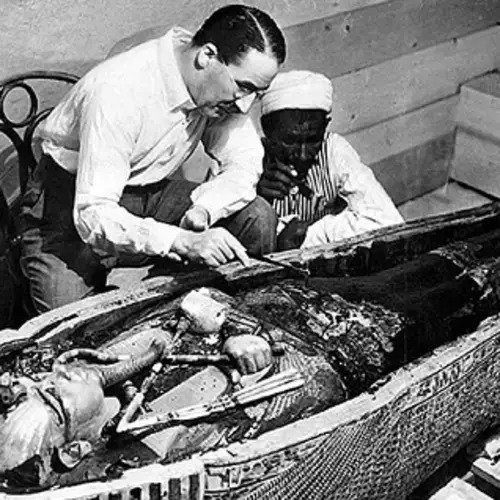 It's evident that the boy king's modern pop-culture cred and popularity came after Carter discovered King Tut's tomb. The headlines just happened to coincide with the onset of mass media and Tut-mania set in quickly. Everything from fashion to furniture to films was styled with Egyptian flair. Because King Tut died so young, this struck a chord with those people who were dealing with the loss of their young World War I soldiers. 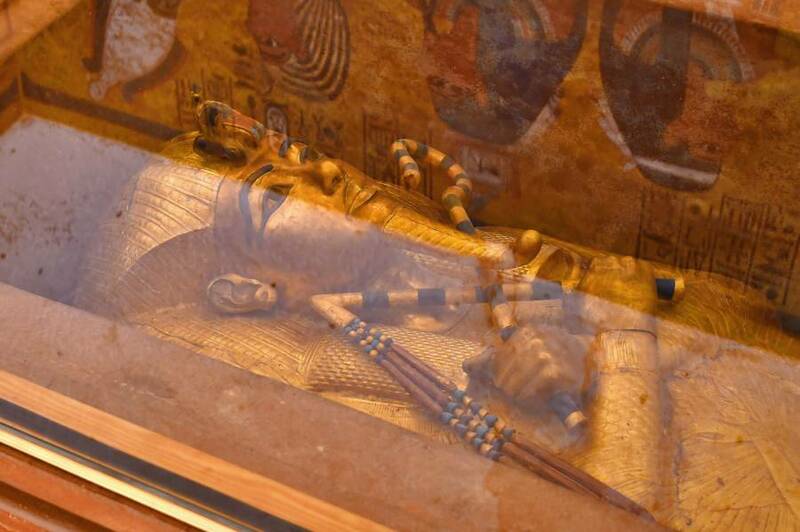 They saw Tut's belongings carried out from the tomb tenderly on stretcher-like trays into the daylight. It probably brought to mind our injured men being rescued from the trenches. The discovery of King Tut's tomb came at a time when the world longed for escapism. "Tut was young, he was hip, and he evidently liked to surround himself with the latest luxury items: his funerary arrangements were like being buried with a favourite Type 35 2-litre Bugatti racer." Given these circumstances, it's no surprise that we are willing to spend whatever it takes to preserve this pharaoh's legacy. 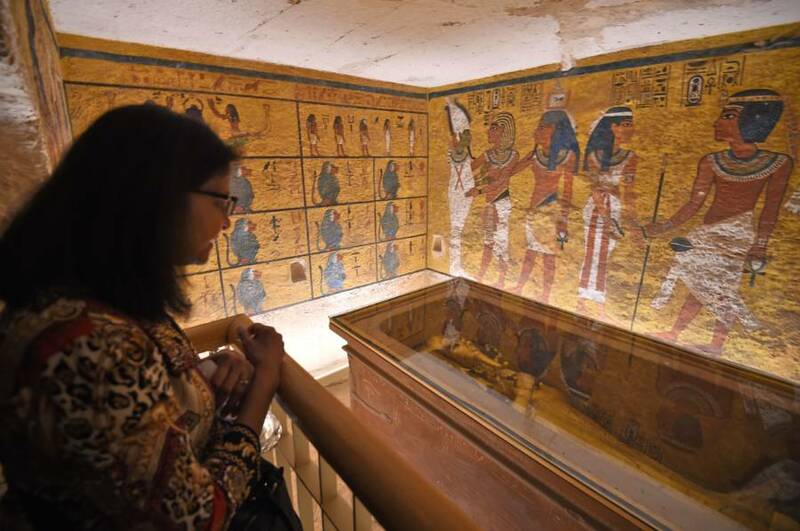 With the new restoration of King Tut's tomb, visitors can continue to revel in the opulence of King Tut's golden sarcophagus. Indeed, it is as though King Tut died only to reemerge from between the dusty covers of our history books in full color. 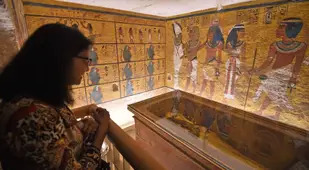 After this look inside the restored tomb of KV62, find out more about King Tut's wife, Ankhesenamun. 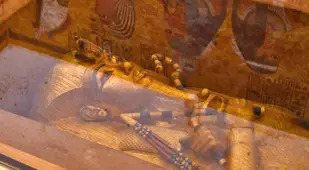 Then explore the deaths behind the infamous mummy's curse.